I’ve been thinking a lot about “yes” lately. Specifically I’ve been thinking, with deep gratitude, of all the adventures, alignments, blessings and magic my life has given me in response to my “YESes”. More recently, I’ve dealt with my husband having a major car accident that changed the course of our life instantly, my aging parents and supporting my adult children process some heavy trauma and anxiety issues. Life is not always the way you want it. You can struggle, resist, fight, wail, gnash your teeth, stomp your foot in protest, but the truth is, your resistance to what life rolls out for you, only causes friction on your path and the depletion of the passion in your soul. That resistance often also manifests as a “NO” in our lives. We experience resistance and we start to dig in our heels anytime life brings us change, sometimes including potentially positive life-changing opportunities. “I can’t because __________________(fill in the blank), “ becomes our mantra and we say “NO” reflexively, faster than “YES” can even flash through our minds. Yet, “YES” can be so much mightier than “NO”. Martin Luther King, whose courage and faith we celebrate today, may have said “NO” to racism in America but he was really said “YES” to the dream he held, not only for his people but for all people in the world. Viktor Frankl said “yes” to life, even though, as a German concentration camp prisoner, he could have said a big “NO” to all that life was bringing him. He knew that his “YES” was the only thing he could control so he claimed and defended his inner “YES” and survived the holocaust with his soul (and faith) intact. Napoleon Hill, in his query into what makes people powerful and successful (discussed in his book, Think and Grow Rich), discovered that successful people say, “YES”, and then figure out the details. In my experience, when you say “YES”, you don’t have to “figure out the details”. The details get handled. It’s like the intention, the commitment and the energy behind being open to a “YES” creates synthropy (order), the opposite of entropy (chaos). The forces of the Universe conspire to support your commitment and your “YES”, giving you a clear path and clarity. You never truly have to know what’s next in this arrangement. You simply have to say “YES”. It’s not always so simple, right? If it was, you’d have said more “YES” a long time ago. You also have to understand which dragons are guarding the “NO” gates to your Heart. What fears do you need to face, what risks do you need to take, what faith and courage do you need to cultivate in order to let yourself harness the passion of your soul and your “YES”? According to the great inventor and futurist, Buckminster Fuller, ninety nine percent of who you are is invisible and untouchable. 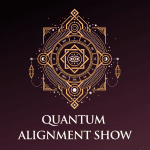 In the work that work that I do with the Quantum Alignment System, I know that it is powerfully possible to increase those odds. 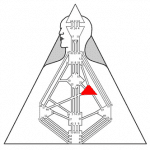 Human Design and the Quantum Alignment System has helped thousands of people fulfill their Purpose all while harnessing so-much-more-than-99% of who they are. But to do that, you have to get back to discovering the power of your dreams and learn how to draw from the deep well of your own creative expression so that you’re will to risk saying “YES” even if you’re knees are knocking together and the rest of the world thinks you’re crazy. The only crazy thing in the world is to get to the end of your life only to have let the “NOs” run the show. I invite you to explore the role of “YES” in your life. What things in the past have you said “YES” to? What has your “YES” taught you? What do you need to say more “YES” to in your life? Make a list, wait and see what shows up. Here’s to your powerful “YES” in the world! P.S. Are you ready for more “YES”? Join me and Internationally Renowned Purpose Coach, Michelle Vandepas, for an intimate ignition of your “YES”. We’ll be meeting in Ojo Caliente, New Mexico, April 4-7 with a small group of creative women to unleash the “YES” in your life. Whether you have a book, a vision, a dream, a foundation, a project or you just want to express all that you soul is longing to express, this powerful retreat is for you. Register before January 30 and receive an extra “boost” to your “YES” with over $1000 of free Early Bird Bonus. P.P.S. 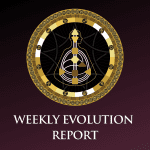 Here’s a **SPECIAL EDITION** Human Design Evolution Report I created for you about last night’s Full Moon Lunar Eclipse and tomorrow, the Human Design New Year. Enjoy!